With increasing pressure to provide ever thicker levels of insulation there is concern that thermally upgrading conventional cavity walls, consisting of two leaves of masonry, may prove impracticable. Part 1 of this Good Building Guide highlights techniques and materials for insulating cavity walls. Part 2 provides guidance on how to reduce the associated technical risks. It includes a map of national exposure zones for wind-driven rain. The guidance is for cavity walls having two masonry leaves; it is not suitable for timber-framed construction. NB it relates more to new-build housing than to retrofitting insulation, but it does include some advice relevant to filling cavities in existing homes. 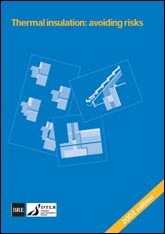 Good Building Guide 44 part 2, GBG44 part 2, GG44 part 2, housing, thermal insulation.